Siri will now translate spoken languages to save you time when you don't know the lingo. 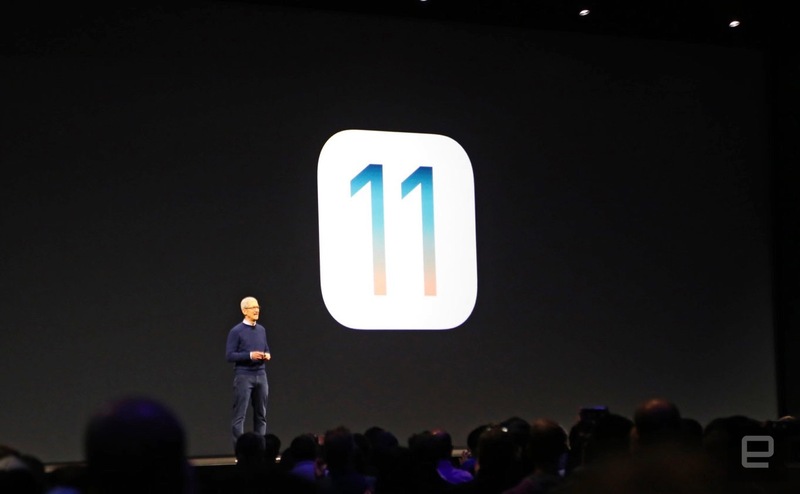 Apple has announced iOS 11, the latest version of its mobile operating system, which boasts a variety of small yet important improvements. Messages, for instance, now syncs across all of your devices through iCloud and gains a redesigned app drawer for better discovery. Apple Pay is now capable of letting you send cash to other people via iMessage, with the payments authenticated with Touch ID. Siri, meanwhile, gets automatic translation native to its voice interface, a feature that's been sorely lacking in previous versions. Siri isn't just a voice assistant anymore, and Apple is pushing the idea that it does a similar job to Google Assistant on Android. For instance, contextual learning and predictive suggestions will be synced across all of your devices, hoping to know what you need before you do. Siri will also monitor your web browsing and attempt to find other resources that may be relevant to your interests. Apple was, of course, quick to add that while all of this information is synced, it will all still be encrypted. The company's Craig Federighi also showed off a revamped Control Center that keeps all of your buttons constrained to a single pane. In addition, the notification pane has now been ditched in favor of the lock screen -- so an upward swipe will take you back to your lock screen. The operating system also gains HomeKit and AirPlay 2, both of which have been upgraded to include speakers, letting you control your multiroom audio system. On the photo side, your snaps are expected to get better picture quality and better low-light performance as well as newer effects. For instance, you can select which frame in a Live Photo is the one you want to keep or publish. Oh, and using machine learning, it's possible for the photos app to automatically select perfect loops, similar to Instagram's Boomerang feature. In addition, the company is adding HEVC and HEIF compression to shrink video and images down on your devices. Maps is also catching up to Google's alternative, gaining detailed internal navigation for shopping malls and airports across the globe. The driving navigation window now shows your speed and offers lane guidance that can help you drive around. On the safety front, the company is adding a feature called Do Not Disturb While Driving that identifies when you're driving and shut off the display while you're in motion. If you receive a message while in this mode, the phone will send an automatic response saying that you're driving and will respond later. The App Store is also getting an Apple Music-esque redesign in iOS 11, with greater emphasis on discovery and better visuals. Rather than one app store, the new platform essentially breaks out Apps, Games and In-App Purchases to three separate sections. Users will also be directed toward the Today pane, which will highlight new and popular apps to help them discover what's available. There's been a lot of talk about AR recently, and Apple's approach to the space is to build AR Kit, a platform that's baked into iOS 11. Federighi went to great pains to point out that there is no need for new hardware to support such a technology. Instead, the built-in technology in existing devices is capable of rendering AR content already, with the company showing off a live demo of Pokémon Go that looks much more realistic. On the iPad, iOS 11 gets some features that you're probably more familiar with on desktops and laptops, including using the dock to switch between apps. Simply swipe up from the bottom of the display and the dock will appear. You can even drag an app from the dock into the main work area to use side by side. Then there is the Files app, which lets you manage your files on the iPad in a way that's unprecedented on iOS. Given Apple's recent marketing push for the iPad Pro as a laptop replacement, it's little surprise to see the platform addressing user concerns. iOS 11 will be available as an update in the fall, presumably around the same time that the new iPhones launch.